The novel widely considered John Fowles's masterpiece: "A dynamo of suspense and horror....A dizzying, electrifying chase through the labyrinth of the soul....Read it in one sitting if possible-but read it" (New York Times). 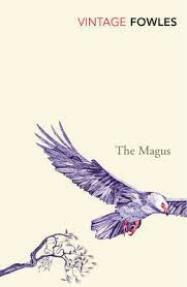 The Magus is the story of Nicholas Urfe, a young Englishman who accepts a teaching assignment on a remote Greek island. There his friendship with a local millionaire evolves into a deadly game, one in which reality and fantasy are deliberately manipulated, and Nicholas must fight for his sanity and his very survival.